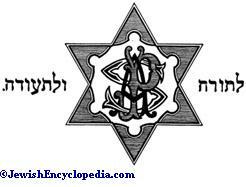 An association founded in 1873 by a number of New York Jews: Leopold Bamberger, Benjamin I. Hart, Myer Stern, Edward Morrison, Arnold Tanzer, and Louis Lewengood, with William B. Hackenberg of Philadelphia and Simon Wolf of Washington. 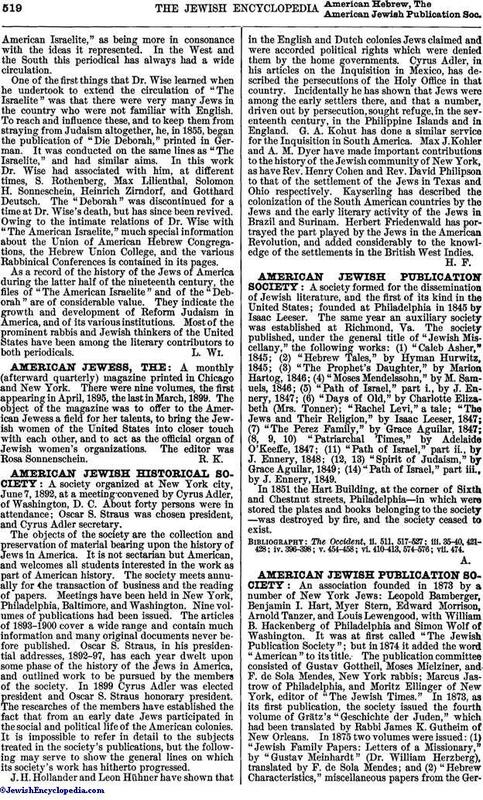 It was at first called "The Jewish Publication Society"; but in 1874 it added the word "American" to its title. The publication committee consisted of Gustav Gottheil, Moses Mielziner, and F. de Sola Mendes, New York rabbis; Marcus Jastrow of Philadelphia, and Moritz Ellinger of New York, editor of "The Jewish Times." In 1873, as its first publication, the society issued the fourth volume of Grätz's "Geschichte der Juden," which had been translated by Rabbi James K. Gutheim of New Orleans. In 1875 two volumes were issued: (1) "Jewish Family Papers: Letters of a Missionary," by "Gustav Meinhardt" (Dr. William Herzberg), translated by F. de Sola Mendes; and (2) "Hebrew Characteristics," miscellaneous papers from the German,comprising "extracts from Jewish moralists from the eleventh to the fifteenth century," from Zunz's "Zur Geschichte und Literatur"; "Jewish Marriage in Post-Biblical Times, a Study in Archeology," by Dr. J. Perles; and "On Interment of the Dead in Post-Biblical Judaism," also by Perles; all translated by Albert H. Louis. 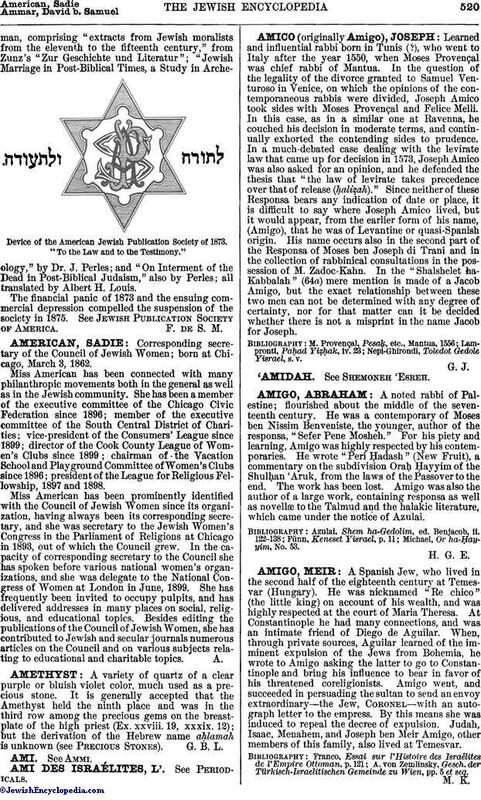 Device of the American Jewish Publication Society of 1873. "To the Law and to the Testimony." The financial panic of 1873 and the ensuing commercial depression compelled the suspension of the society in 1875. See Jewish Publication Society of America.